The Caribbean is one of those glorious picture-postcard places that many of us dream of visiting. Here at Villaseek we have many properties to choose from across the Caribbean islands, and we’re pleased to announce a new listing in Barbados. 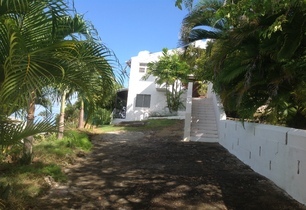 This large, fully-equipped 10 bed holiday villa in Holder Hill, St. James offers a stunning ocean view. Split into an upper level (sleeps 6) and a lower, self-contained ground floor apartment (sleeps 4) means there are options depending on the size of your party. Located in one of the most luxurious areas of the island, the property is well-placed for all kinds of activities and places to visit. There are plenty of golf courses, sail cruises and day spas. 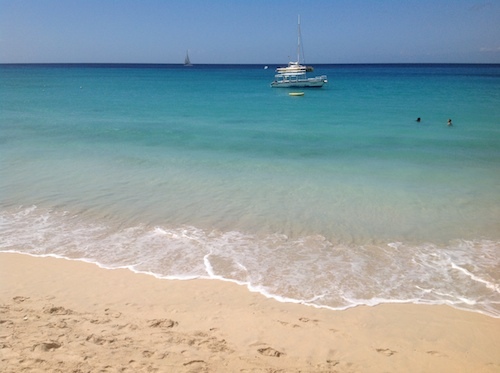 The island is surrounded by azure-water and pure white sandy beaches such as Blue Monkey Beach and Church Point Beach. You can also visit the nearby Frank Hutson Sugar Museum, or the Folkestone Marine Park. The property is at the top of a small hill with wonderful seaside views and a large lawned garden with mature fruit trees for shade. The main upper section has 3 1/2 bedrooms, 1 King bed and 5 single beds, one en suite bathroom with toilet, and combination tub/shower. The second bathroom has a toilet and shower. 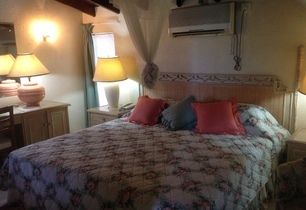 The living/dining room has an ocean view balcony, and the kitchen is fully-equipped with an additional laundry area. 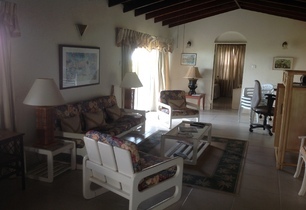 The lower section is a fully-furnished 2 bed, 1 bathroom apartment. Find out more about the property and prices here.